Evanescence vocalist Amy Lee says she and the band are working on a “unique” new project. Lee exclusively tells TeamRock: “We’re working on something new – and the info about it is on lockdown just for a little bit longer. In a short amount of time I’ll explain exactly what it is. “But we are in the studio, we are working on a new project, and it’s something different – it’s not just a straightforward next Evanescence album. Evanescence have also lined up a run of 2017 tour dates – and they’ll return to Europe later this year. 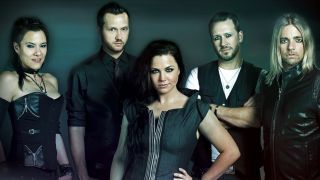 Find a full list of Evanescence’s live dates below.